The Equatorial Guinea team will no longer be able to qualify for the FIFA Women's World Cup France 2019 after the country's football association was sanctioned by the FIFA Disciplinary Committee for fielding ineligible players and falsifying documents. FIFA initially imposed sanctions against Equatorial Guinea in April 2016 after it was found that 10 players who participated in the preliminary rounds of the Women's Olympic Football Tournament Rio 2016 were ineligible to represent the country. The Scottish Football Association (SFA) has stressed that it does not support the idea of a Team GB at the Olympics, despite working alongside the English Football Association (FA) to defy FIFA's ban on poppies. England and Scotland meet in a World Cup qualifier on Friday, with the FA and SFA having said the teams will wear poppies on black armbands despite it going against the rules of FIFA, which has threatened potential sanctions. Gianni Infantino is in favour of a Team GB side at future Olympic Games. A Team GB Olympics football side would not endanger the four home nations' independent status in the eyes of FIFA president Gianni Infantino. The head of football's global governing body has allayed fears England, Wales, Scotland and Northern Ireland could have their individual identities revoked if the four countries were to unite to re-establish a men's and women's team for future Olympic tournaments. 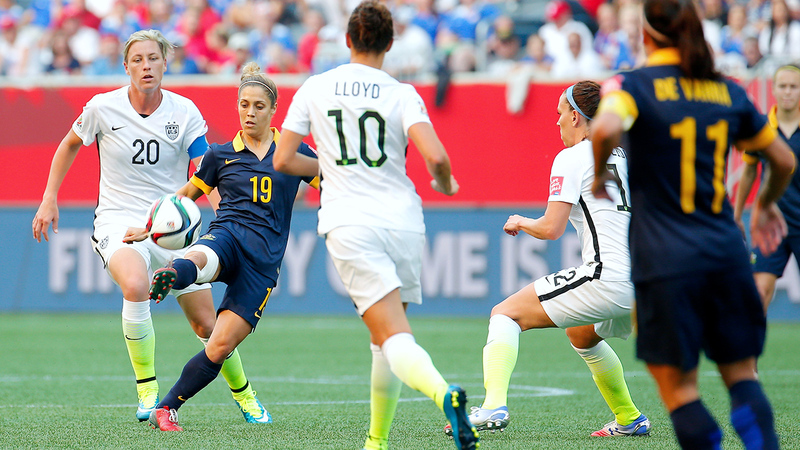 Matildas coach Alen Stajcic guided his side to the quarterfinals of the Olympics in Brazil. Devastated Matildas coach Alen Stajcic has described his side's Olympics quarterfinal loss to Brazil as one of the most courageous efforts he has seen in Australian sport. Australia's Rio campaign came to an end on Friday night, snuffed out in a dramatic 7-6 quarterfinal penalty shootout in Belo Horizonte.